This lovely home is located on a corner lot. 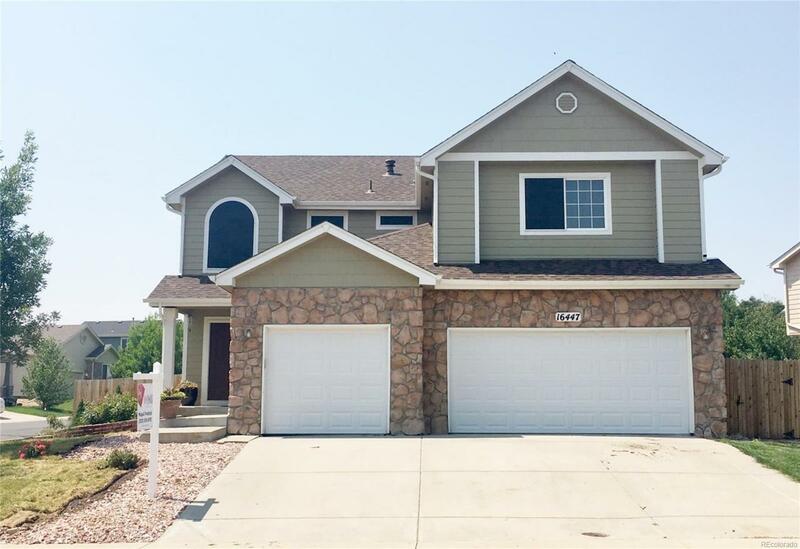 High vaulted ceilings, newly remodeled kitchen, beautiful main floor layout with ample space for a formal dining room, formal living room, family room, kitchen nook and a small bedroom, which could be used as a flex room or office. Upstairs you'll find a large loft for family down time, and three bedrooms. Do not miss it! It is one of the largest homes in the neighborhood with a full size basement and a three car garage.Front new landscaping has been added.